On Cavallo Island, France, setting up for a test, with the house's architect, Savin Couelle, and architect Luci Curotti. RICHARD OLSEN is a Los Angeles-based architectural photographer and author—work that benefits from his background as a veteran of the art-and-architecture publishing industry. In New York, Richard was editorial director for Doubleday's Architects & Designers Book Service and Antiques Roadshow Bookclub; an architecture editor for Rizzoli Publications; and, still later, the senior editor for architecture/design at Harry N. Abrams Publishers. In Seattle, he was editor of Amazon's Arts & Photography, Travel, and Home & Garden bookstores. In Los Angeles, more recently, during the final five years of Paige Rense Noland's thirty-five-year reign as Architectural Digest's editor-in-chief, Richard was the magazine's senior editor for architecture. Moved by the events of September 11, 2001 to more closely align his professional pursuits with his personal background and interests, Richard has for the last 15 years also worked to document the histories of rustic and environmental architectures. (Richard's father was a furniture builder and an artist and his Norwegian grandfather and great-grandfather were master carpenters.) 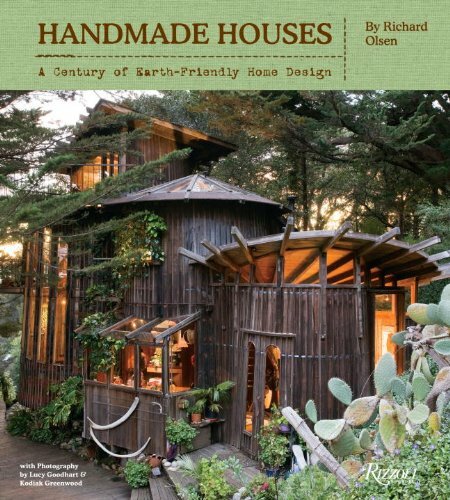 In 2006, Abrams published his book Log Houses of the World, and in 2012, Rizzoli published his Handmade Houses, a reexamination of 1960s–70s back-to-the-earth architecture. Reviews of Richard's books have appeared in the New York Times, the Wall Street Journal, Time, the New York Journal of Books, Huffington Post, Architectural Record, Architectural Digest, Architect's Newspaper, and in the American Institute of Architects' Residential Architect, among other publications, print and digital. Since 2012, again for Rizzoli, Richard has been completing his most ambitious work to date, researching, photographing, and writing a survey of the evolution of environmentalism in the technology, design, and construction of California's single-family house, 1900 to 2018. The forthcoming California Green: Houses of Environmentalism, which notably documents not just the role of Architecture culture but also that of California's art and literary avant-garde and counterculture, draws from more than 100 exclusive interviews and features more than 100 houses from throughout the state, most of them newly photographed by Richard expressly for the book. Richard takes photography commissions internationally, from architects, builders, and individuals who wish to document special projects.